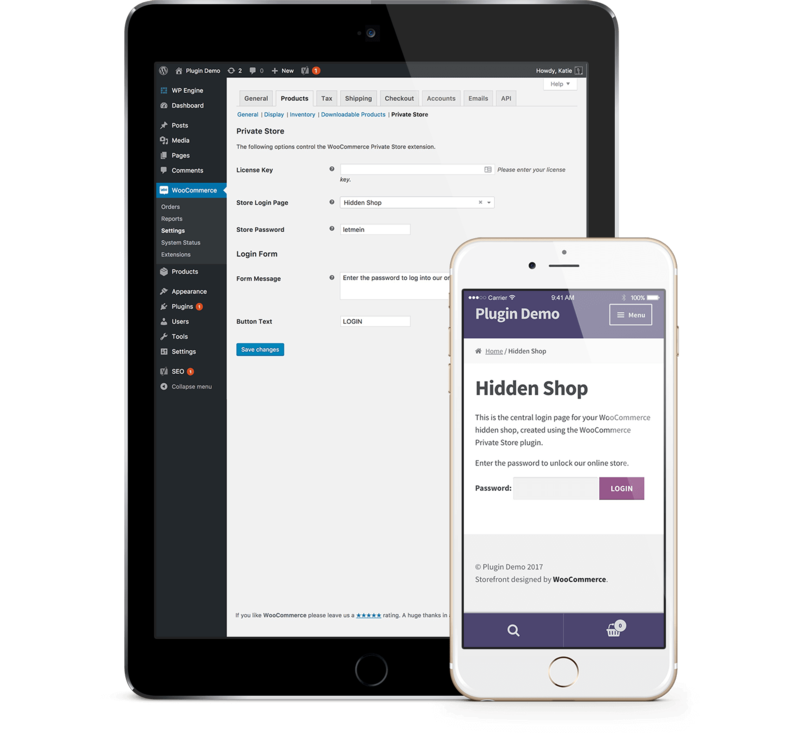 There are a number of hooks provided in WooCommerce Private Store which let you customize the plugin’s behavior. Please note that this code is aimed at developers and if you don’t know how to use it then you should ask your developer. If you don’t have one, we recommend posting a job on Codeable. We have partnered with them to provide plugin customizations for our customers. The store login is handled using a cooke which is set when the user enters the correct password. You can set the cookie expiry time (i.e. how long the user remains logged in) from the plugin settings page under WooCommerce -> Settings -> Products -> Private Store. However, if you want more fine-grained control, you can use this filter. The filter allows you to override the URL the user is redirected to after successfully logging in to your store. You can set a global redirect from the plugin settings page, but if you want to do something more custom, use this filter.